Today I am privileged to interview Tony Brooks, author of Halfway Human. Tony and I recently met (virtually) through a mutual friend. Tony is a veteran author living in the Adelaide area. He's an interesting man. I think you'll agree. Do read on. In the early 19th century British convicts were transported to the penal colony of Australia by the thousands. Irish farmer, Laurence Frayne finds himself caught in the crushing gears of the Crown's justice system for a minor offense, and learns first hand of its barbaric treatment of prisoners. Laurence becomes a focus for the insane hatred of the Norfolk Island penal colony's commandant, Morisset. The prisoners' lives are an unending nightmare of brutality, back breaking labour,and the searing tropical sun. After a bloody failed mutiny there is a sudden ray of hope for a reprieve from their torture in the appearance of Morisset's replacement, the courageous reformer, Alexander Maconochie. Entwined in the story is a modern thread that follows the Australian reporter, Margaret Frayne and the Manhatten attorney, Dominic Hurley as they seek the truth about their common, long dead ancestor. Finding truth in the past and the present, they struggle to gain clemency for a repentant modern day prisoner condemned for murder. You can pick up Halfway Human at Amazon. Hi Tony - Welcome to my blog. Thanks for agreeing to answer a few questions for me and my readers. Ready? Let's jump in. 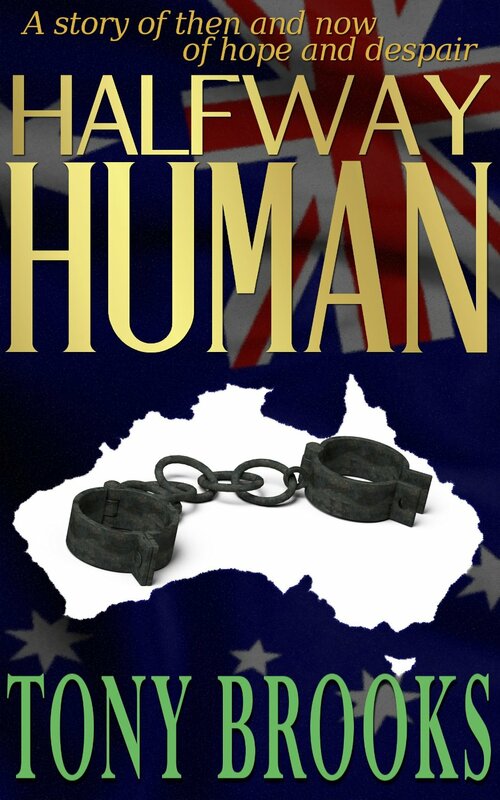 Halfway Human is based in 19th century Australia. What is it about that era you find fascinating? The 19th century was a time of enormous change in this huge, ancient continent. The England of the industrial revolution created a class of people which had tremendous challenges to face here. Are penal colonies of particular interest to you? Penal colonies, yes, but it was the discovery of the characters of Morisset and MacConochie and the revolutionary initiative in reform rather than revenge that really piqued my interest. It was an amazing period that seems to have slipped under the radar. Do you think deportation was a just punishment for British criminals? Was it more, or less, cruel than imprisonment? Deportation wasn’t just a savage punishment for the victims of the industrial age, it was a pathetic admission of social failure. You emigrated to Australia from England as a young adult. Does that bear influence on Halfway Human? I don’t think my emigrating as a young adult influences the book particularly, although the enormous impact of the experience did make me examine all my previous values and attitudes. So, a fresh look at life I suppose. What influence has Australian culture had on your writing? I think that the distinctive societal structures and values to be found here have made me approach my work with much more boldness and energy. What is the most important thing you want readers to know about Halfway Human? This work tries to focus on the richness of the characters, both historical and devised, but attempts to capture the impact of an outstanding innovation in penal practice that took place here, and is sadly somewhat forgotten. What is the most important thing you want readers to know about you? That I place richness of character and the telling of a good story at the centre of my work. I believe that Australia has so much more of value in terms of literature and film than it is achieving at the moment. Born in England, Tony Brooks served in the Royal Navy and then trained as a teacher. He studied French at the Sorbonne. His degree is in Educational Drama. His scripts have been performed and presented on stage, radio, and in film form both here and in the United States. His novel, ‘First of All’, about the reformer, Catherine Helen Spence was published by Axiom Press in 1995 and re-printed in 2001. In 1994 his play, ‘Games’ received an Advertiser award as the best new play of the year. His novel about the blackbirding era was published on the internet. In 2001 his full length play with music, ‘Ice’, based on the love letters of Douglas and Paquita Mawson was given a production by Opus Performing Arts Company at the prestigious Noarlunga Theatre. Tony has now written a trilogy of novels based on TV scripts, ‘Curve of the Earth’, set on the Yorke Peninsula, which has had three print runs. In 2005 his one act play, ‘Honest John’, set about the great drivers’ strike of 1910, won the South Australian Hills Drama Festival. 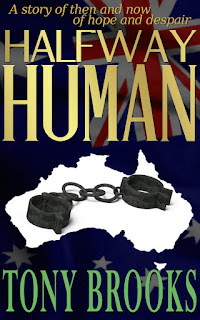 In 2007 he brought out his novel, ‘Halfway Human’ based on events in the penal colony of Norfolk Island, with a modern story line developed from his own experiences as a tutor at Yatala Labour Prison. Late in 2007 he brought out his sixth novel, ‘The Far Side of the Reef’, set amongst the Pacific Islands during the period now known as the Blackbirding era.